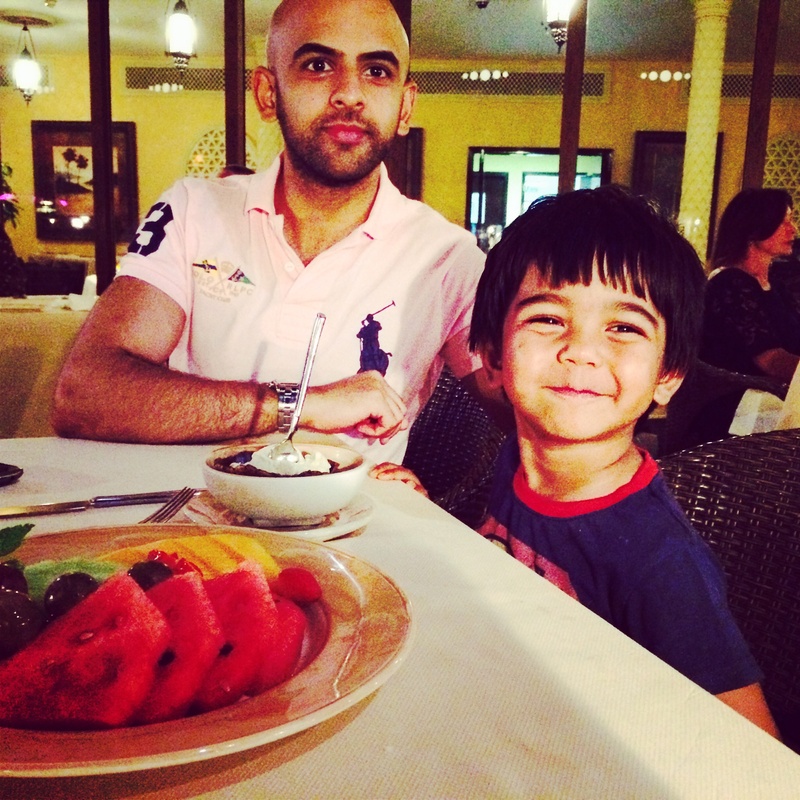 A family trip to Dubai with sun, the beach and great food was much needed for us when winter finally hit London. 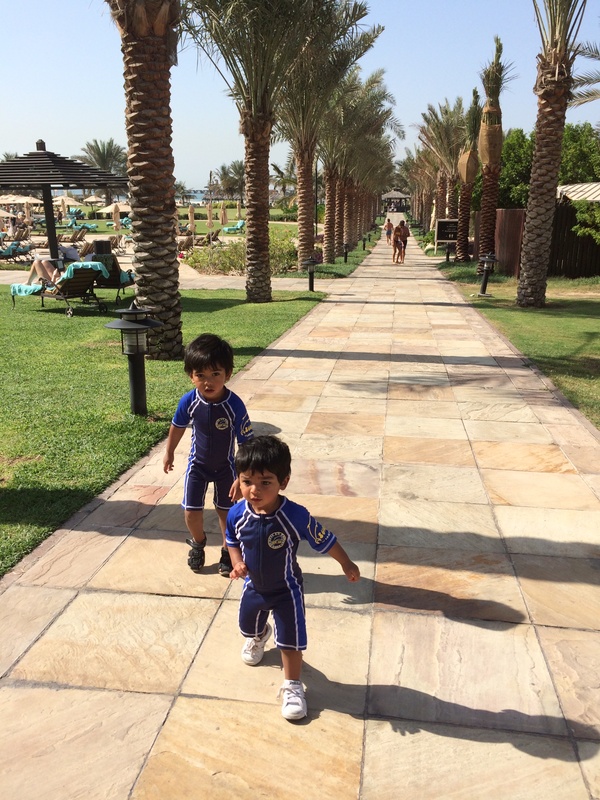 We were honoured when Mums the World asked us to feature our family trip to Dubai on their blog. We felt as though it was a perfect fit as Royal Mums and Mums the World started their blogging journey at the same time. Who are Mums the World? Mums the World is a blog founded by two wonderful mummies that have relocated with their families to Dubai. They both are passionate about travelling and exploring the world. Their ethos, like ours, is that you can still travel the world and experience different cultures with a young family. The world is your oyster. They are mothers on a mission; bringing their readers on their incredible journeys. And they most certainly are succeeding in sharing different mothers travel stories. Tell us about yourself and what you do for a living? This attitude later allowed me to set up our blog, Royal Mums with my beautiful yummy mummy Iram. We want to be the best mums as well as still being independent, savvy and beautiful. One thing I’ve learnt from the whole experience is that if you have an idea and you are really passionate about it, just do it! Live in the moment and take the risk. My parents and my husband are my inspiration. Firstly, my parents because of the woman I am today; I realise this now that I am a mother. My mother was there when we woke up and she was always there to put us to sleep, to sing silly songs and tell us stories about fairies; I remember all these small things. My husband is also my inspiration. I admire him for his work ethic and has taught me to be able to do things that I may have been cautious to do. His favourite saying is that ‘it’s not rocket science’. It’s this attitude that has pushed me to do things that I would probably have been sceptical about doing. He’s always encouraged us to travel the world with our children. It teaches them so much and exposes them to different cultures, languages and people. Tell us about your last adventure? I started travelling with my children from the age of 2 and half months old. I have now overcome the fear of, how will I cope on the flight, how I will sterilise their bottles and what they will be able to eat. We all have to remember that there are mothers and children being raised all over the world. 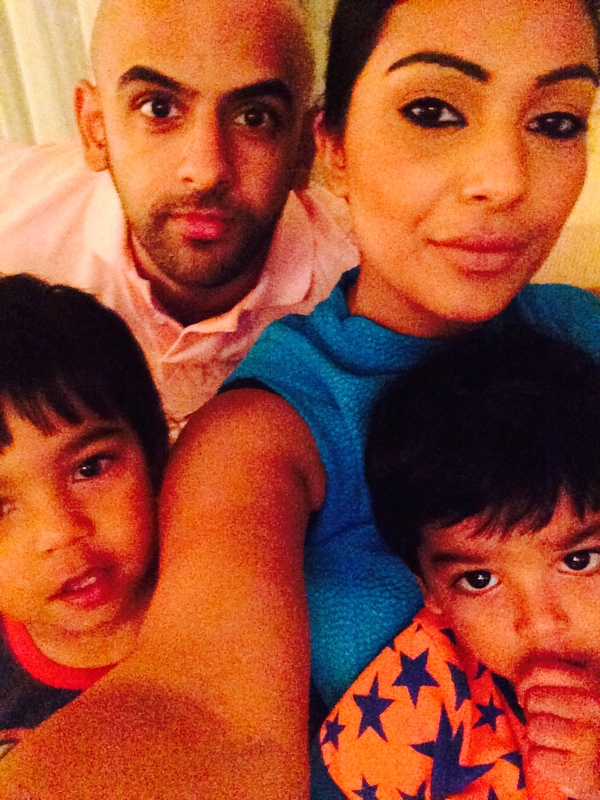 Our last trip away with our children was to sunny Dubai. Packed with sunshine, food, beautiful beaches and family time. Dubai from London is the perfect place to get some much needed sunshine and heat. It is the perfect destination for a family and because of the huge expat community, we had everything we could get in London – from the basics like nappies, and even the same brand formula milk. Dubai is that one destination where you are bound to know someone who has moved there. For us, a visit to Dubai is always a week full of catching up with friends and even a great place to meet new people! 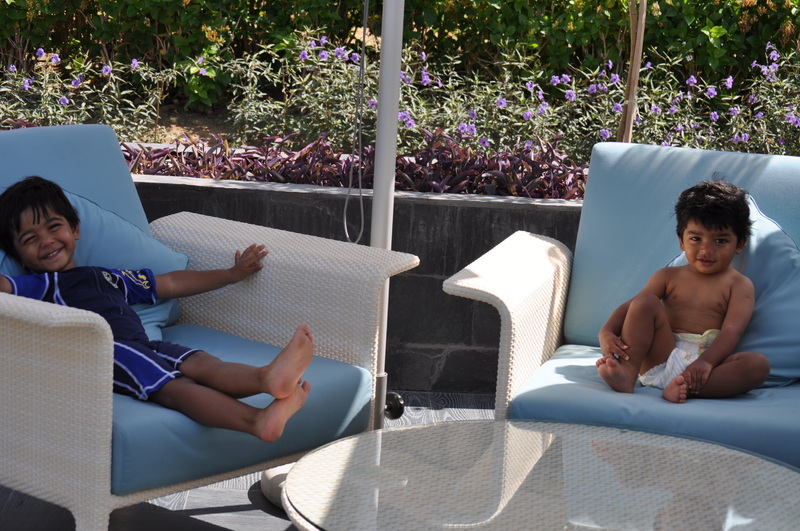 This holiday was the perfect opportunity to relax by the pool let the kids go wild and sip virgin mojitos. It is super family friendly so you don’t have to worry about whether places will cater for your children. 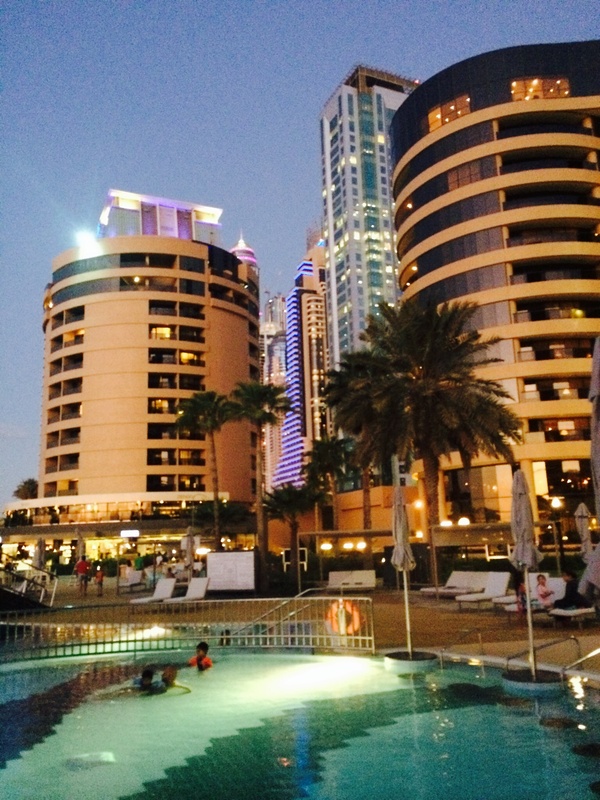 You can spend the evening strolling on JBR, where it’s buzzing full of restaurants and families. 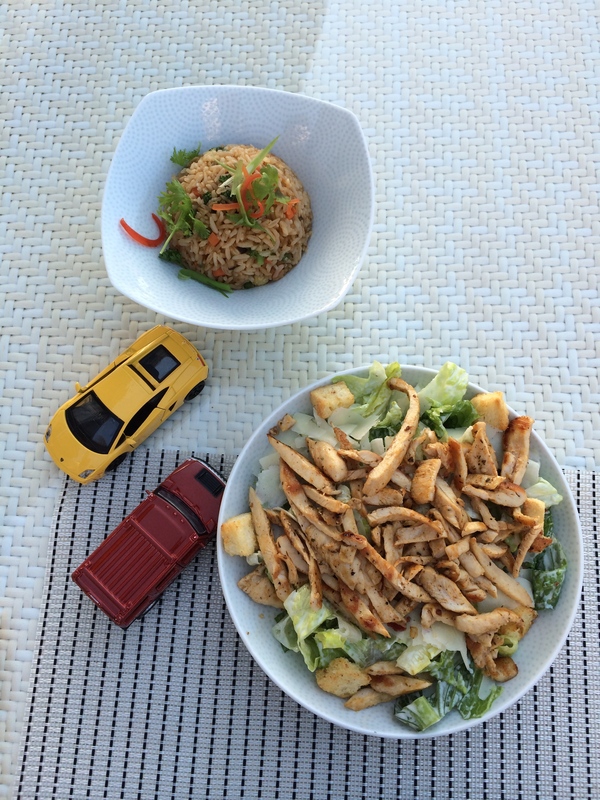 One thing about Dubai is that if I ever had to live there, I would not be able to keep the pounds off! You are exposed to every delicious cuisine you can find! Which hotel did you stay in and how was the experience? We stayed at the Le Royal Meridian Jumeriah which was amazing. 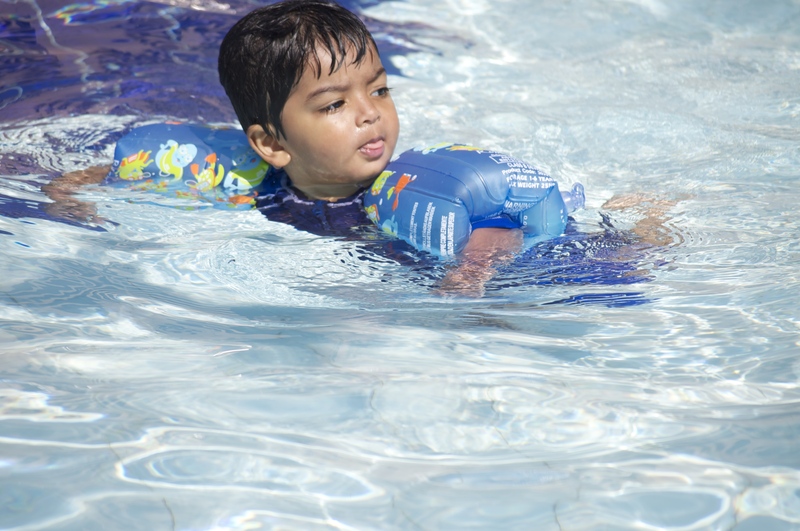 The perfect family resort with access to a kids pool and a fantastic kids club. My boys and my nephews who we came to visit spent hours playing in there! There was a soft play area for small babies, a games console area for older children and a pretend play area with beautiful wooden toys. It was a perfect place for children to cool down amongst endless entertainment. In the evenings they offered shows, mime artists, clowns, balloons and some music. This holiday was all about the children and they most certainly had fun. I would highly recommend this hotel for a family. How did you travel there? Can you list 5 things you’d recommend to do there? There is the new The Beach area on JBR. The Dubai Mall is always good with the Aquarium and Kidzania. Dubai is amazing for children but I can’t wait to come back when the children are older to try the quad biking in the Desert. My boys are obsessed with cars so I most definitely want to take them to Ferrari World too which is an hour drive away from Dubai in Abu Dhabi. Your best ‘easy wear’ holiday attire? Jeggings and a black vest is the easiest and the most comfortable thing to wear for me paired with a bright coloured blazer to add some sophistication. What advice would you give to other mums to encourage them to ‘Journey Well’ with, or without their children? Relax – flying is only a few hours of your time. If women can go through 9 months of pregnancy, child birth and have sleepless nights then flying with kids is ‘a walk in the park’. If you are relaxed, your children will only receive the good vibes.